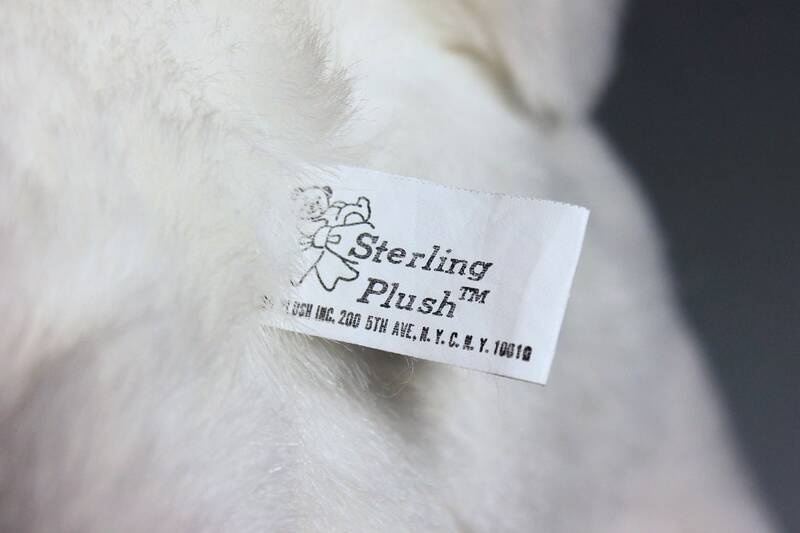 A gorgeous white bunny rabbit stuffed animal by Sterling Plush. 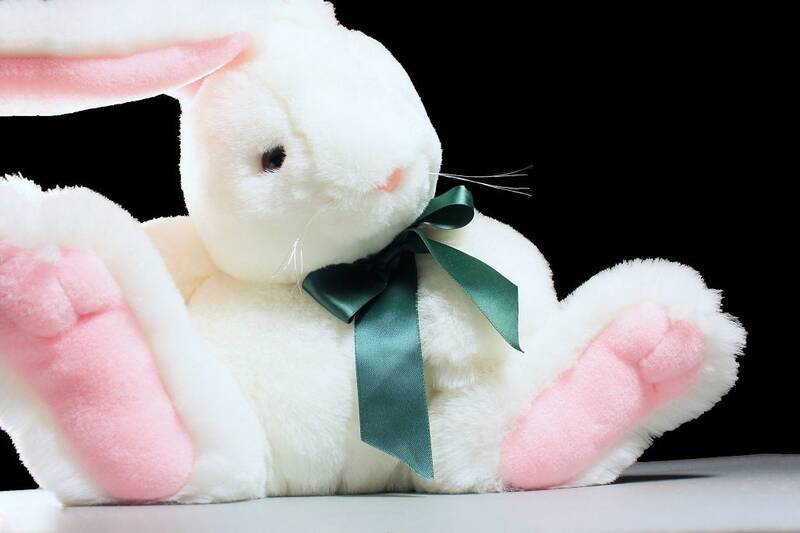 He is very white with a big green ribbon. 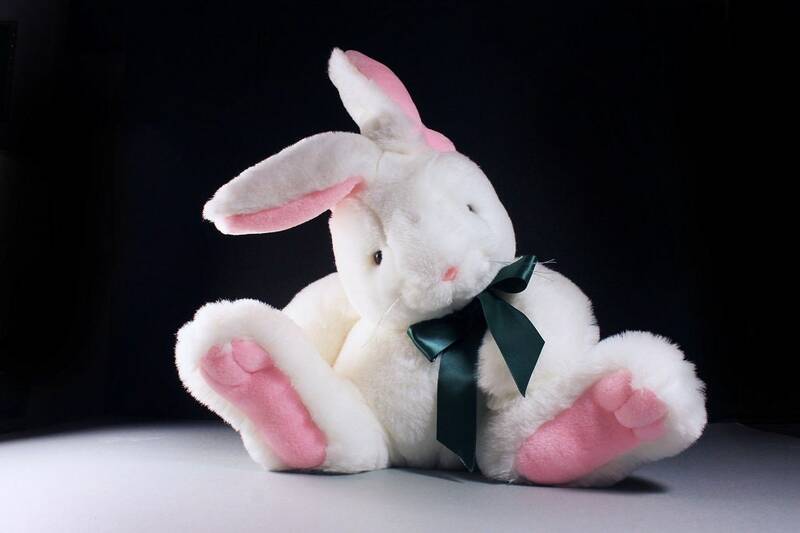 He has large feet with pink plush and large ears also with pink plush. 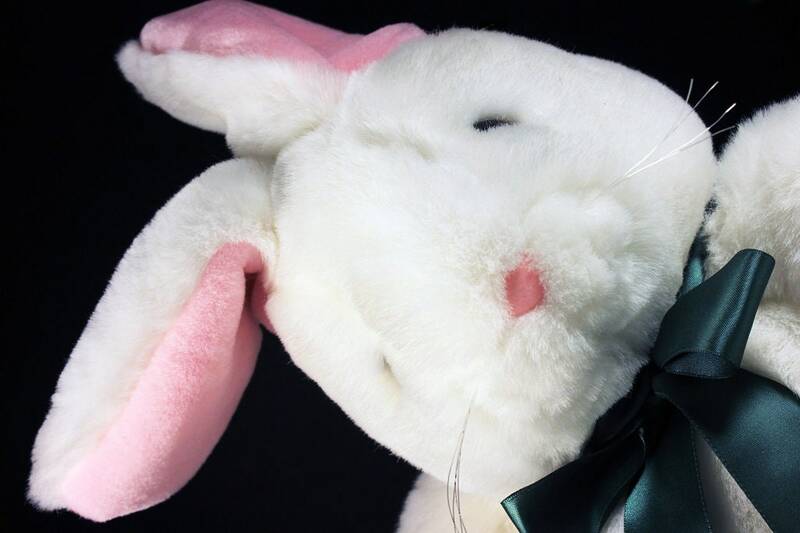 This is a large bunny and it is very very soft and cuddly. 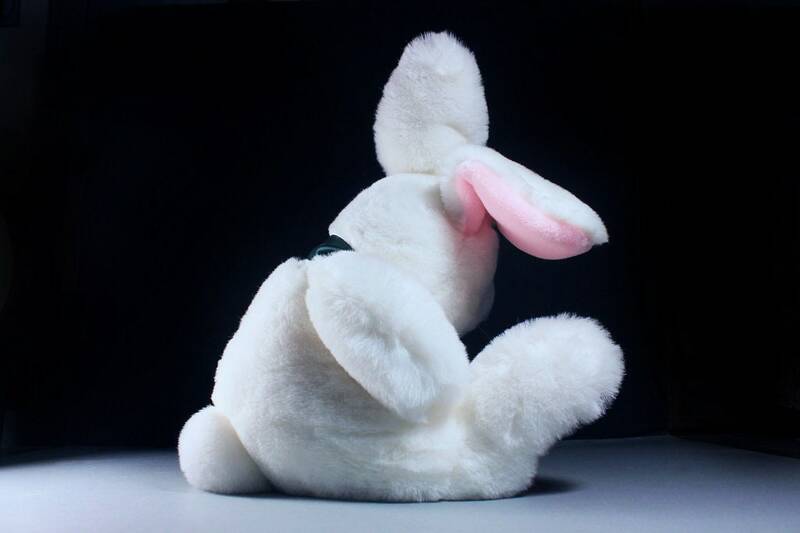 This would be a great addition to a nursery sitting in a chair or as a gift for an older child. 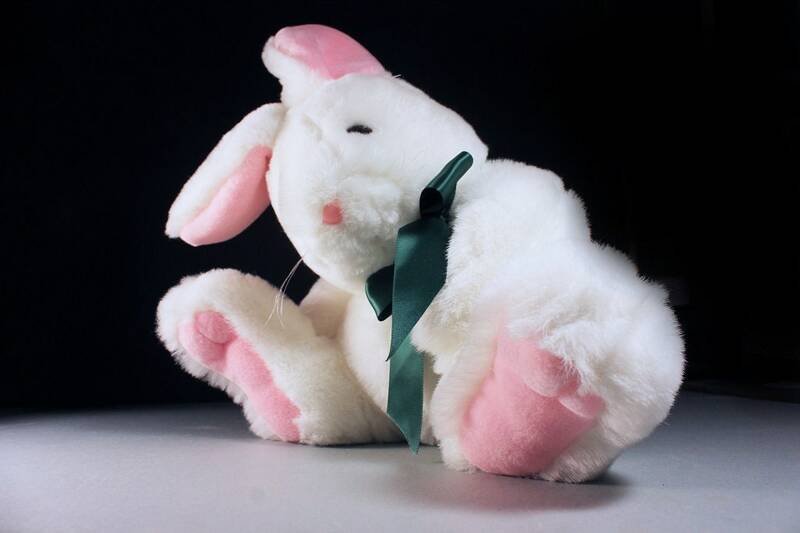 A great bunny for the bunny lover or collector. He needs a new good home and he would love to be yours. 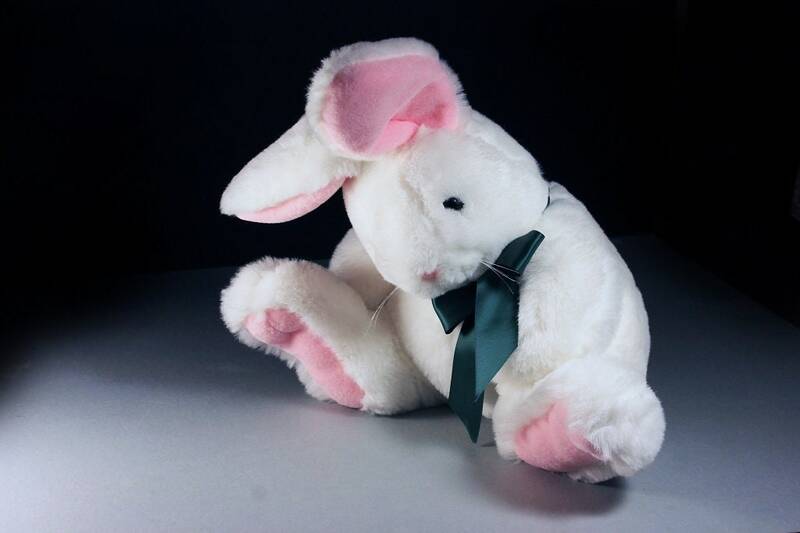 This bunny is in excellent condition. Looks as if it has never been played with just displayed. There are no rips, tears, or repairs. 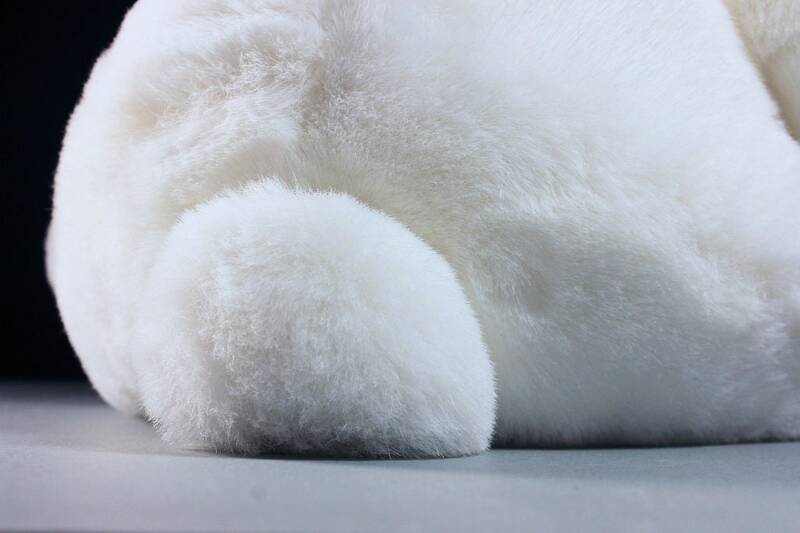 His fur is clean and white. The green ribbon is new. 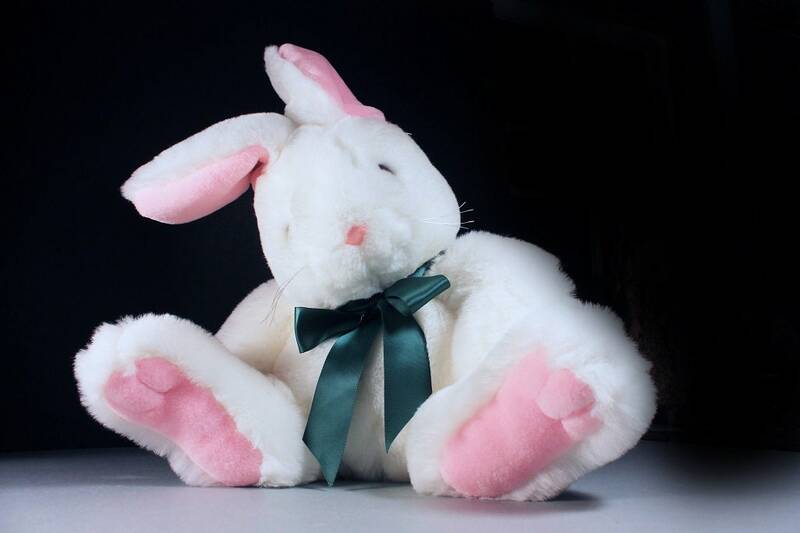 All he is looking for is a new home to be loved and admired. This would be a great gift for holidays or birthdays. He would also look fantastic sitting in a rocking chair as home decor.